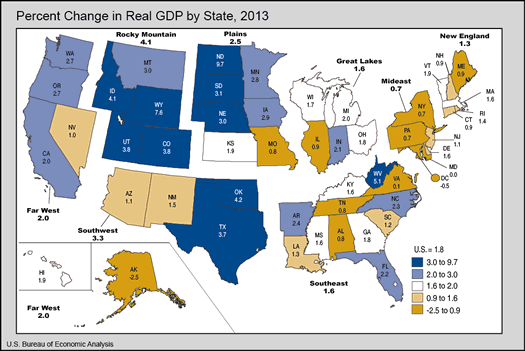 + Here's the BEA release for state GDP. + The 2013 GDP per capita figures are in 2009 chained dollars. 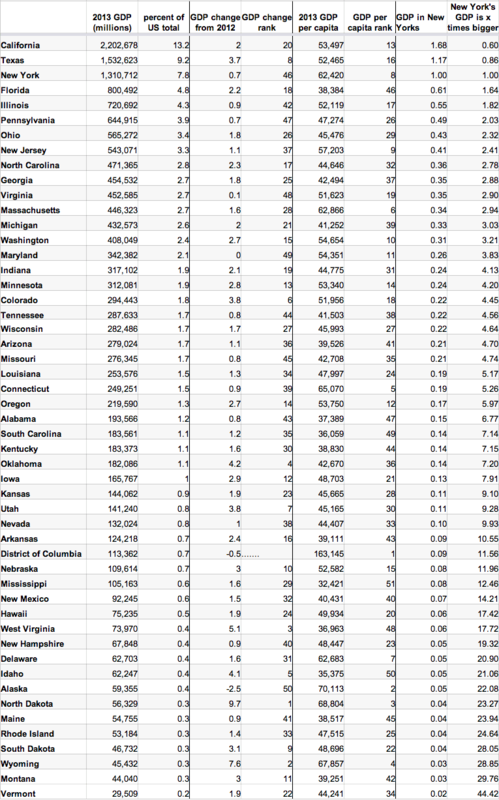 + Those last two columns are just sort of goofy things that we computed basically as a way of comparing New York's GDP to that of other states.